Fish Oil Supplements – Helpful or Harmful? The American Heart Association has, for years, recommended fatty fish to help reduce the chance of heart disease. Fatty fish like salmon, tuna, sardines and mackerel are rich in omega-3 fatty acids. There are documented benefits linked to omega-3 fatty acids. According to the MayoClinic.com, omega-3 fatty acids are a type of unsaturated fatty acid, which have been shown in clinical trials to reduce inflammation and lower risk for heart disease. Other benefits include decreasing triglycerides, lowering blood pressure, reducing risk for blood clots, boosting immunity and improving arthritis symptoms. Even more studies have shown omega-3 fatty acids improve memory for adults and learning ability for children. 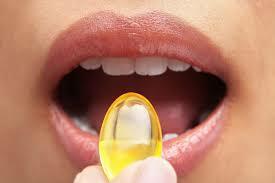 Health seekers have turned to omega-3 fatty acids in fish oil supplements for a couple of reasons. Some people dislike fish, especially fatty fish, which is the best food source of omega-3s. Anchovies and sardines are two of the richest sources, but a lot of people complain about the “fishy taste” so fish oil capsules are an ideal compromise. Contamination is yet another concern. Fish such as salmon, tuna and mackerel may be overfished, farmed (and fed antibiotics), or tainted with mercury. A few years back, actor Jeremy Piven would up in the hospital with mercury toxicity – it appears that his twice-daily meal of raw sushi (tuna, mackerel, salmon) caused his mercury levels to soar. Fresh fish can be expensive – and supplements may be a way to get the fish benefits more cheaply and easily. But, as reported in Men’s Fitness, there are countless brands of fish oil supplements ranging in price from $5 up to $30 dollars per bottle – available over-the-counter, even online. But be forewarned – all supplements are not created equal – some may even be dangerous – they may contain less of the active EPA and DHA omega-3s than advertised…or worse, they may contain unsafe and illegal levels of PCBs. 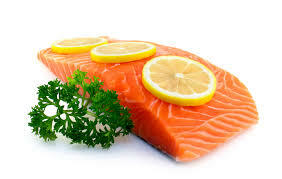 Safe supplements will list the species of fish used to make the oil (salmon, tuna, sardines, anchovies are the richest and safest fish in terms of level of mercury), and also list total amounts of EPA and DHA – as well as the source of the fish, and a guarantee that there are no heavy metals, toxins or pesticides. I think it’s important to only buy supplements that have been reviewed by an independent, third-party testing company, such as ConsumerLab.com or USP.org. Consumers can skip supplements and if they dislike fish they can choose other sources of omega-3 fatty acids, including vegetarian omega-3 supplements (vegetable oils such as soybean, canola, walnut, and flaxseed) and foods such as walnuts and flaxseeds. The American Heart Association recommends eating one to two servings a week of fish, particularly fish that’s rich in omega-3 fatty acids. The AHA cites studies that link consumption to a reduced risk of heart disease and sudden cardiac death. All fish are good sources of protein but the best advice is to avoid potential contaminants – such as mercury – by eating a variety of fish – avoid big predatory fish like swordfish, tuna, and shark – and eat smaller fish like sardines, anchovies, and my favorite, shellfish – all are rich in omega-3s and have a low chance of being contaminated.